Centuries ago, the Norse gods and goddesses fought their Last Battle with the trickster god Loki and his frost giants. All were believed lost, except for a few survivors...including the Valkyrie Mist, forgotten daughter of the goddess Freya. But the battle isn't over, and Mist--living a mortal life in San Francisco--is at the center of a new war, with the fate of the Earth hanging in the balance. As old enemies and allies reappear around the city, Mist must determine who to trust, while learning to control her own growing power. It will take all of Mist's courage, determination, and newfound magical abilities to stop Loki before history repeats itself. 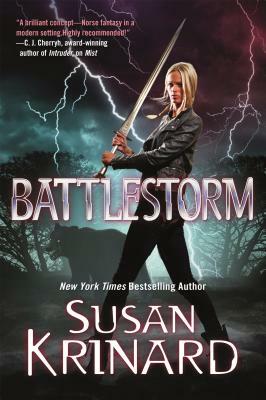 SUSAN KRINARD is the author of twenty-seven fantasy and paranormal romance novels, including Mist, and eleven novellas. Krinard grew up in the San Francisco bay area. She currently lives in Albuquerque, New Mexico, with her husband Serge Mailloux, two cats, and three dogs.